This is not the Australia you know. Towering strangler fig trees and prehistoric species like the southern cassowary and salt water crocodile can be found in these ancient rainforests. Far North Queensland is one of the most biodiverse places in the world, preserving over 500 million years of evolutionary history. It is also home to Earth’s largest living organism – the Great Barrier Reef. Immerse yourself in the rich biodiversity of the rainforest and learn about ecological resilience in the face of climate change and other environmental threats. Connect rainforest management and conservation issues with downstream impacts on the Great Barrier Reef. Become a part of large-scale restoration ecology experiments and study environmental policy and community conservation approaches while developing skills in field research and data collection. In this two-country program, you will learn how environmental and social factors have contributed to forest fragmentation in the spectacular, once-vast rainforests of Australia and New Zealand. Compare endangered species management practices, meet with indigenous communities to learn about their natural resource use, and examine ecosystem restoration approaches. The Great Barrier Reef and the tropical rainforests of northern Australia form a complex, interconnected system. Spend your summer learning about rainforest and watershed management in this verdant region while considering the policies and actions needed to maintain healthy waterways in the face of climate change. At the end of a narrow, winding road, in the middle of a lush rainforest, lies this remote field station. 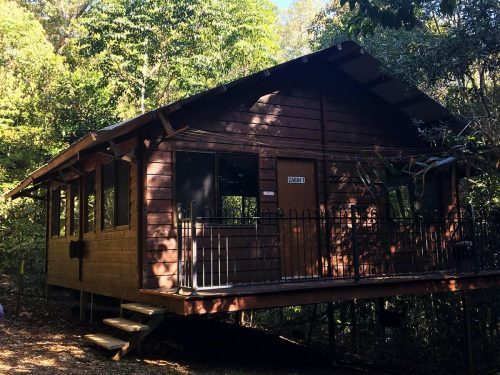 Our 153-acre property is surrounded by protected World Heritage forests, and you can see incredible wildlife from the front steps of your cabin. Nearby Yungaburra and Cairns provide the occasional return to civilization. It feels like a dream to walk through these ancient forests full of giant trees, curling vines, lush tree ferns, and swaying palms. Research at the SFS Center for Rainforest Studies focuses on rainforest management, ecosystem restoration, and the complex connection between the rainforest and the Great Barrier Reef. Students and faculty engage with local communities, Indigenous groups, NGOs, and landholders. As the oldest rainforest on the planet, management strategies developed here may serve as a model for conserving and restoring other rainforests around the world. The Wet Tropics of Far North Queensland are viewed as a “canary in the coal mine” in observing the effects of climate change. Climate models predict the loss of more than half of all regionally endemic bird and mammal species. The iconic Great Barrier Reef, lying off the coast of Queensland, is also under threat. Students investigate the potential responses and resilience of biotic communities to climate change and major climatic events. We examine the impacts of habitat fragmentation, invasive species and climate change on threatened species, and how these affect faunal biodiversity and ecological processes in a rainforest, particularly on the Atherton Tablelands. We also focus on the management of landscapes to restore biodiversity and learn appropriate field research techniques such as GIS. Tropical North Queensland once supported extensive rainforests, but logging, mining, and agricultural production over the past two centuries have destroyed and degraded rainforest habitats, disrupting the patterns and processes that keep these forests vibrant. Students use spatial tools, such as GIS, to assess land-use change and habitat use by different species. We engage with Aboriginal elders to learn more about their culture and efforts to reclaim their role in land management. Students examine the role of NGOs in restoration, research, and monitoring of ecosystems and threatened species. Our research provides scientific data to help the community and local decision makers involved in rainforest restoration and management and the development of sustainable communities and industries. We have assisted community members with propagating, planting, and maintaining more than 15,000 trees over the last few years to restore degraded forests, improve water quality, and sequester carbon. The astonishing biodiversity of Australia’s rainforests makes Queensland an extraordinary laboratory for students to study natural resource and water management. Students consider the role of catchments (watersheds), riparian restoration, and connections between rainforest and reef. Management strategies developed here may serve as a model for conserving and restoring other rainforests around the world. Students examine how sociocultural, economic, and political factors shape resource usage across a fragmented rainforest landscape. SFS staff and students, in collaboration with local landholders and stakeholder organizations, focus on regenerating and restoring the rainforest of the Atherton Tablelands while supporting the livelihoods of communities that live there. SFS is an active part of the Queensland community. Throughout the program, students assist in local restoration projects, host community dinners, attend festivals, and socialize with local conservation groups and at sporting competitions. SFS research data is shared with the community, local NGOs, and the Australian government.